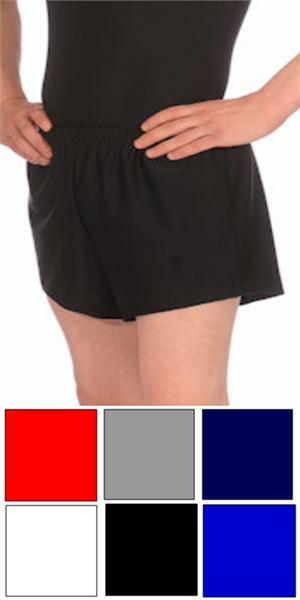 Men's gymnastics competition shorts feature straight leg and elastic drawstring waist. These shorts are slightly shorter in length with an upper thigh hemline. 1. Chest measurement: taken with a deep breath, arms held out at shoulder height. 2. Waist measurement: taken at the natural waistline. 3. Hip measurement: taken around the fullest part of the buttocks. 4. Torso measurement: taken from the center of the shoulder, down the front, through the crotch, and up the back to the starting point. 5. Inseam Measurement: the length of the leg from the crotch to one inch above the floor. Measure in stocking feet.